Which titles will this year be remembered for? Edwin drops a few hints. To think of certain years is to think of certain games. These titles are the lynch pins of entertainment history, speaking to their eras in a manner which makes them unforgettable. So it is that 1997 is the indisputable property of Final Fantasy VII, which put the medium’s capacity for cinematic involvedness beyond question, while to reflect on 2005 is to reflect on the phenomenon of World of Warcraft. The “definitive” games aren’t always the best ones, of course, or even the best-selling ones. Few “serious” gamers would rank Mario & Sonic at the Olympic Games above Uncharted, but the former is arguably the more crucial release – not simply because it shifted more copies, but because its dominance of software charts is tightly, symbolically bound up with Nintendo’s abrupt re-ascendancy in 2007. And there are games whose significance is negative, the games whose failures (whether partial or complete) herald the end of one way of doing things. Need for Speed: Undercover comes to mind. Identifying these titles in advance is a little like trying to headshot a machine gunner from the beaches of Allied Assault’s Normandy, but it’s an interesting topic so I’m having a go regardless. Here, then, are six games I think 2010 will be remembered for. You’ll notice a few controversial omissions, some of which are on the longlist at the article finish. Heavy Rain is that rarest of things: an original. Comparisons have been made (by us, among others) with classic LucasArt point and clickers, with Broken Sword and Gabriel Knight, with Shenmue and its sequel. There’s overlap, doubtless, but none of these titles quite fit the bill. Quantic Dream’s oppressively opulent rendering of the hunt for a serial killer is likely to be more of a critical event than a chart-topper, as major newsprint commentators of all casts and temperaments rush to dissect this fresh assault by the upstart gaming industry on “culture proper”. Its impact, if not its quality, is assured. EA’s restructuring and refocussing over the past couple of years has been a source of much interest: the company has stripped away bureaucracy, combined studios, tried and (so far) failed to crack the Wii market, introduced compelling new IPs, dismembered others, opened and closed a Casual label and bought its way into the social gaming arena. The experiment with free-to-play gaming has been modestly successful – Battlefield: Heroes is a popular, well-crafted product, despite the recent, controversial re-emphasis on premium in-game commodities – and the addition of Need for Speed’s much-buffeted but formidable brand power may be explosive. Posted in Features, Spotlight, and tagged with 2010, feature, Microsoft, nintendo, predictions, Sony. Not a single mention of Mass Effect 2? I find it hard to believe that a game of that caliber would be omitted from a list like this. Mass Effect 2 will be great, in all likelihood, and I look forward to squabbling with the lads for our review copy, but in the absence of major new features I can’t see it knocking the industry sideways. Natal is garbage, only non – gamers would be interested in it. Waving your arms about like a loon isn’t going to make Halo: Reach’s last – gen graphics look any better. TYPICAL! 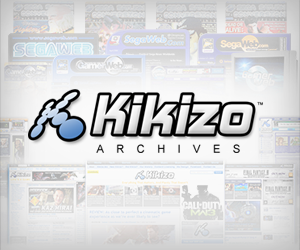 Just another fanboy website hyping up Eyetoy. WHOOPS I mean Natal! In the next COD game do you want to wave your hands around like a retard? I JUST HAVE TO MAKE IT 10 NOT 6! If you don’t agree with me then you are a 360 fanboy that still thinks Halo is good (I’ll admit its good but since COD4 it has’t been the same) or if you think that Project Natal will actually work! HAHAHAHAHA!!!! Show me where I say Natal is going to be an unqualified success! This article is about games I feel this year will be remembered for, the hits as much as the misses. If Natal shits itself inside out on release, it’ll be big news for the industry. If Natal blows our minds on release, it’ll be big news for the industry. A good list in terms of originality. To the other douchebags who disagree, you should really learn to read the opening paragraphs first. 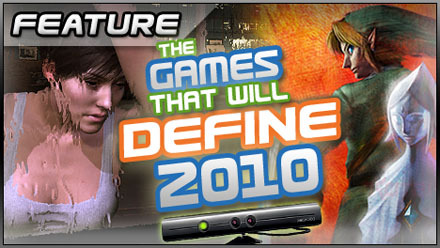 This isn’t meant to be a list of the best games of 2010. idiots. Project Natal, The Last Guardian, Heavy Rain, Alan Wake, new Zelda and Sony’s Sphere should be the six on there. Not things like Medal of Honor. Just as well we have insightful, articulate commentators like yourself to help us up our game, then, isn’t it? Erm… The article seems to not realise that DICE are only doing the Multiplayer portion of Medal of Honor. The Single Player is being done by the same team that made MOH: Airborn. OMG PLZZZZ dont let this new zelda be the LAST ONE this is the best vid game EVER!!!! I really don’t get why only mention six games, and why games like GT, GoW3, Mass Effect 2, and Halo Reach haven’t been mentioned. At least Mass Effect 2, since everyone already knows how awesome it is and how success is being, and it’s already having people say that it will be the GoTY. Rattling instructive and great bodily structure of written content , now that’s user pleasant (:.